Emblematic announces the introduction of emblems for indoor or outdoor mounting. Ideal for identifying and recognizing service connection. Can be mounted on cars, trucks, hearses, etc. These attractive, high-gloss emblems are printed on dynamic silver embossed vinyl laminated to heavy-duty magnetized rubber. Great for gifts and showpieces to display pride in service in a military branch or a first responder group. Click here for more information about our selection of Military Service Emblems - Army, Navy, Air Force, Marine Corps, Coast Guard & National Guard. 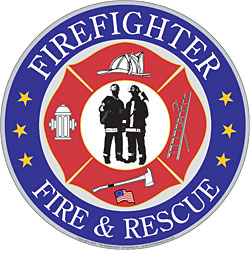 Click here for more information about our selection of Firefighter Emblems. 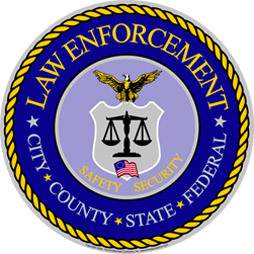 Click here for more information about our Law Enforcement Emblems. To visit popular websites related to military service, click here. © Copyright by The Emblematic Co., Inc.